Institute of Medicine (US) Committee on the Public Health Dimensions of the Epilepsies; Editors: Mary Jane England, Catharyn T Liverman, Andrea M Schultz, and Larisa M Strawbridge. 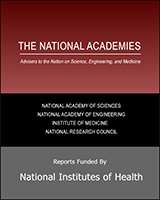 Washington (DC): National Academies Press (US); 2012. Throughout this report, the committee emphasizes the ways in which epilepsy is a spectrum disorder. Epilepsy comprises more than 25 syndromes and many types of seizures that vary in severity. Additionally, people who have epilepsy span a spectrum that includes men and women of all ages and of all socioeconomic backgrounds and races/ethnicities, who live in all areas of the United States and across the globe. The impacts on physical health and quality of life encompass a spectrum as well, with individuals experiencing different health outcomes and having a range of activities of daily living that may be affected, including driving, academic achievement, social interactions, and employment. For some people, epilepsy is a childhood disorder that goes into remission (although the seizures may have lifelong consequences), while for others it is a lifelong burden or a condition that develops later in life or in response to an injury or other health condition. These many complexities of epilepsy make it a challenging health condition to convey to the general public to promote understanding and alleviate stigma. This report aims to provide evidence and impetus for actions that will improve the lives of people with epilepsy and their families. A previous review of the epidemiology of TBI in Europe concluded that the leading causes of TBI were road traffic collisions, and falls.3 Consequently, in a densely populated and economically advanced area such as the European Union (EU), the potential for prevention of morbidity and mortality is great. The variability in incidence and mechanism of TBI, which may be observed on this mainly contiguous land-mass with a well-developed road network, is also of scientific interest, as it may lead to better prevention of TBI. Countries within the EU adhere to certain multi-national laws and agreements, but nonetheless retain their own law-making and enforcement responsibilities.9 This may add further complexity to the understanding of TBI epidemiology, for example, in the contributions of varying road speed limits or the legal restrictions on the availability of firearms. More generally, the issues relating to the contemporary demographic and lifestyle characteristics of the similar countries or regions suggest that epidemiological trends from EU countries also may be applicable to other high income countries. Traumatic brain injury is an important contributor to morbidity and mortality, and results in reduced quality of life and lifespan: An estimated 1.7 million traumatic brain injuries occur annually in the United States alone. Traumatic brain injury carries an increased risk of epilepsy that correlates with the severity of the brain injury. Posttraumatic epilepsy accounts for less than 10% of epilepsy, but traumatic brain injury is one of only a few potentially preventable causes of epilepsy. Despite several well-controlled human studies, there is no current preventive treatment available for humans. Therefore, primary prevention is the only proven way to prevent posttraumatic epilepsy. Brain tumor-related epilepsy (BTRE) is a unique condition that is distinct from primary epilepsy. The aim of this retrospective study was to clarify the epidemiology and results of treatment of BTRE in a single institution. From a database of 121 consecutive patients with supratentorial gliomas treated at Chiba Cancer Center from 2006–2012, the incidence and control of seizures before and after surgery were retrospectively evaluated.Epilepsy occurred in 33.9% of patients before surgery. All patients received prophylactic anti-epileptic drugs (AED) during surgery; however, seizures occurred in 9.1% of patients within the first postoperative week. 56.8% in those with Grade IV gliomas. Levetiracetam was very well tolerated. However, carbamazepine and phenytoin were poorly tolerated because of adverse effects. AED were discontinued in 56 patients. Fifteen of these patients (26.8%) had further seizures, half occurring within 3 months and 80% within 6 months of AED withdrawal. No clinical factors that indicated it was safe to discontinue AED were identified. The unpredictable epileptogenesis associated with gliomas and their excision requires prolonged administration of AED. To maintain quality of life and to safely and effectively control the tumor, it is necessary to select AED that do not adversely affect cognitive function or interact with other drugs, including anti-cancer agents. via Epilepsy in patients with gliomas: Incidence and control of seizures.